What do top models, Lily Aldridge, Chrissy Teigen, and Karolína Kurková all have in common? (Besides from being drop-dead gorgeous, that is.) 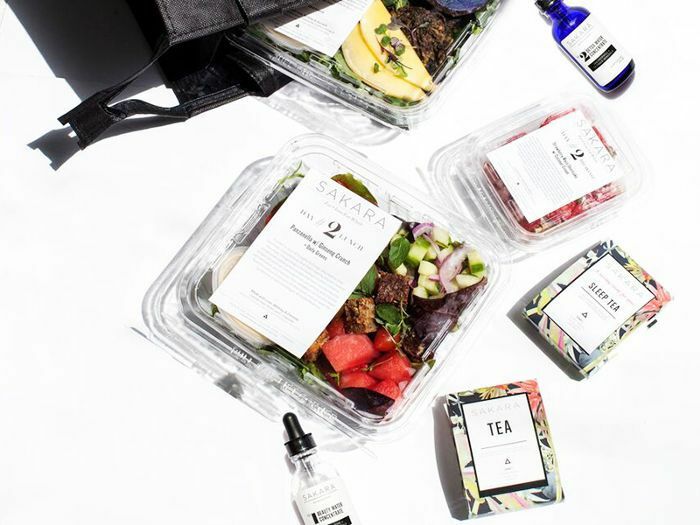 They all swear by Sakara Life—an organic meal delivery service based on a whole-food, plant-rich diet. And it’s easy to see why. The fresh and nutritious meals, delivered straight to your door, are made from the highest-quality organic ingredients and powerful superfoods that not only taste delicious but are created specifically to help heal your gut, reduce inflammation, balance your blood sugar and hormones, and regulate your digestive system—making you feel more energized and leaving your skin feeling plump, youthful, and glowing. We’re already obsessed. And the best part? You get all the nutrition without the arduous and time-consuming shopping, cooking, or portioning. Music to our ears! Perfect for busy professionals, parents, and individuals looking to take charge of their health. Sakara also comes with some pretty nifty bells and whistles. 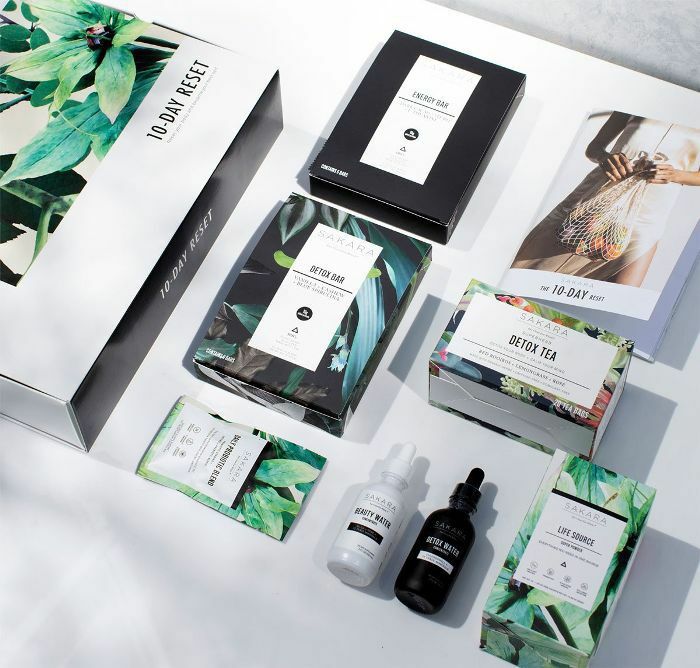 Each delivery is accompanied by beautiful and nutritious additions such as Beauty Water (a concentrate of rose and silica), which you simply add to your water to make your skin glow, a highly touted detox tea to drink between meals, a stick of palo santo wood to burn, and chocolate probiotics so you can indulge without feeling guilty. To top it all off—each is displayed in ridiculously chic packaging. And of course, the meals are unquestionably Insta-worthy too. Think vibrant colors from edible flowers, veggies, and sauces that stimulate the senses and—my personal favorite—breakfast granola accompanied with a bright blue almond milk (tinted with spirulina) that will make any photo look irresistible. And the breakfast is utterly delicious if you’re wondering. 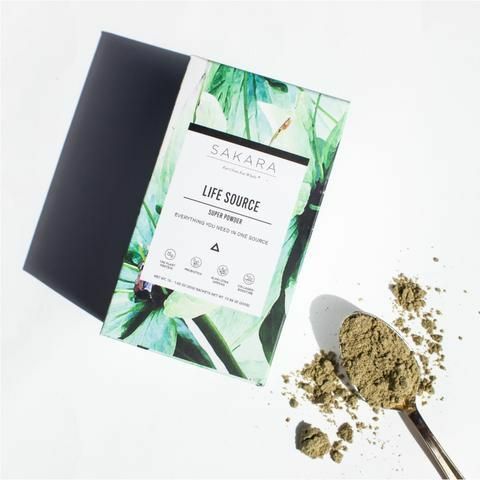 Sakara’s food program is available in three- or five-day-per-week subscriptions where you can customize your program to suit your lifestyle. You can take a look in advance at the upcoming week’s tasty menu online before it gets delivered. 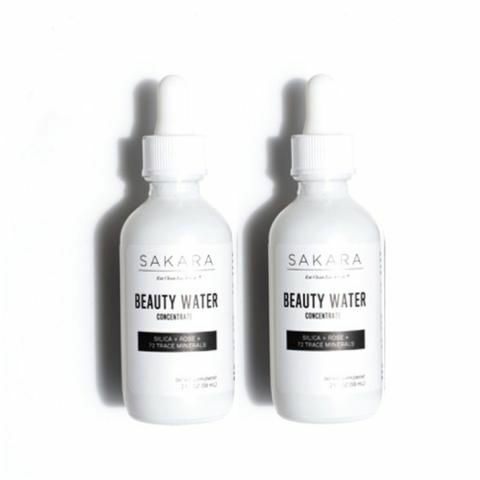 Sign up to subscribe to Sakara here for 100% plant-based, gluten-free, and dairy-free breakfasts, lunches, and dinners that come straight to your door. 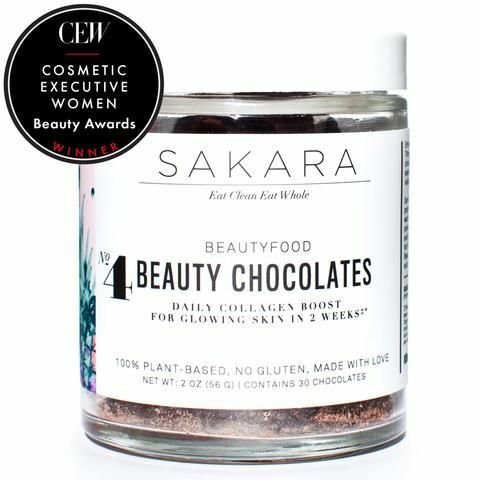 And scroll below for its must-have products to try that have a cult following. 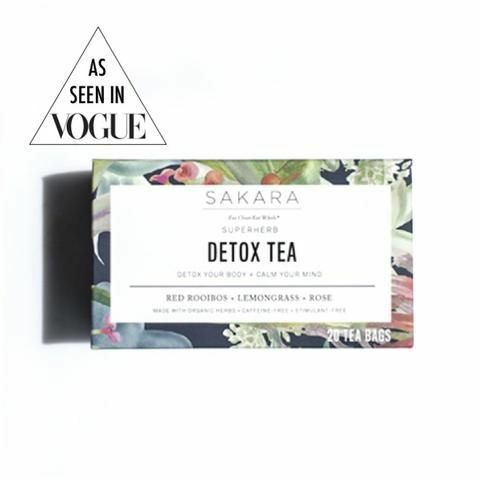 Up next, all the detoxing essentials you need after the weekend.